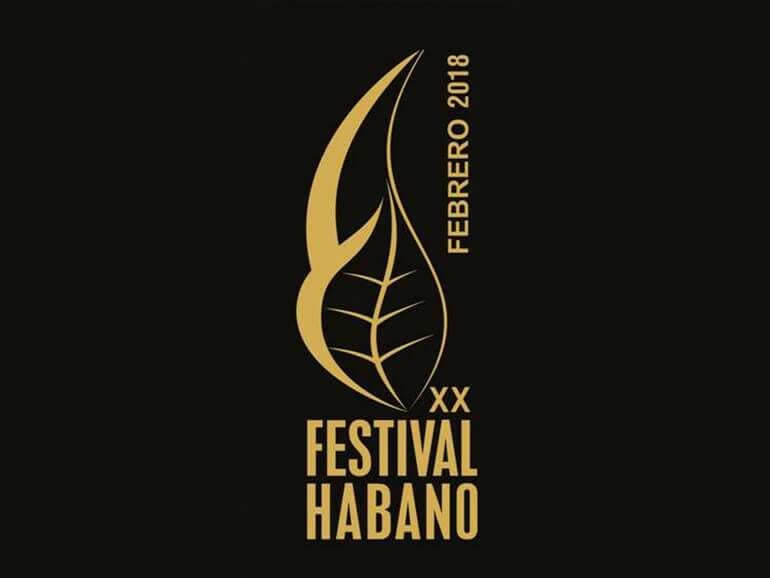 The Habanos Festival, the most prestigious event dedicated to Premium Cigars will be held in La Habana from February 26th to March 2nd, 2018. Its 20th Edition, bodes a wide program of activities that combines the knowledge about the Habano and the enjoyment of the latest novelties of Habanos, S.A. In this 20th edition, the Habanos brands that will play a special leading role will be as follows: Cohiba, the flagship of all Habanos, presenting its first Reserva, Cosecha 2014, and Partagás Línea Maduro with a great acceptance in its first launching on 2015 of which will be launched two new vitolas. Havana International Fair, (FIHAV) the most important general trade fair in Cuba and the Caribbean as well as one of the most representative from Latin America.From October 30 to November 3 at the EXPOCUBA fairground is Cuba’s largest exhibition centre. All sectors of the Cuban economy will take part in this event, which succeeds in putting together the most complete national and international trade exhibition in a space that enables exhibitors and visitors to establish commercial contacts, close business operations, exchange experiences and update in new technological developments. SAHIC Cuba will be the first edition that provides the attendees with the new opportunities to expand their network while learning where the industry is heading and where the opportunities lie in Cuba. Through networking with the key players within the industry, attendees can build relationships that facilitate possibilities for business on the island. The conference will certainly be an essential tool and a landmark in the development of the hotel and tourism industry in Cuba. 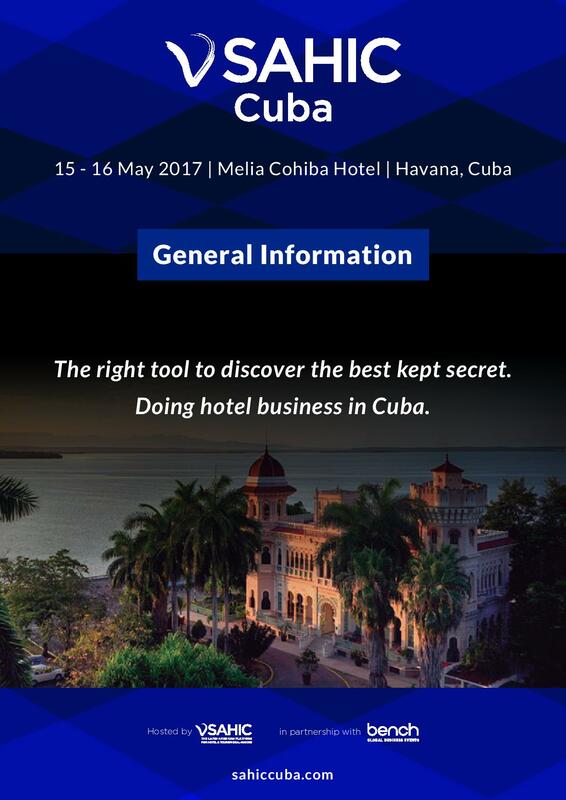 SAHIC Cuba 2017 will take place on May 15-16th, 2017 in Cuba at Melia Cohiba Hotel. The 34th edition of the largest international business fair in Havana (FIHAV 2016) has been scheduled from October 31 to November 4. The event will contribute not only to promote Cuban exports, but also it aims to attract foreign capital. Among the side events, the celebration of the First Investment Forum which will take place during 1st and 2nd of November which includes the Business Portfolio 2016, as well as bilateral meetings between Cuban and foreign investors. In addition, a panel of experts will inform about the opportunities the Cuban market offers. According to the Minister of Foreign Trade and Foreign Investment, the priority sectors are tourism, renewable energy, agriculture and the Special Economic Development Zone of Mariel (ZEDM). In the field of exports beyond traditional elements such as cigars and rum, medical and pharmaceutical services are now the primary goods for export. 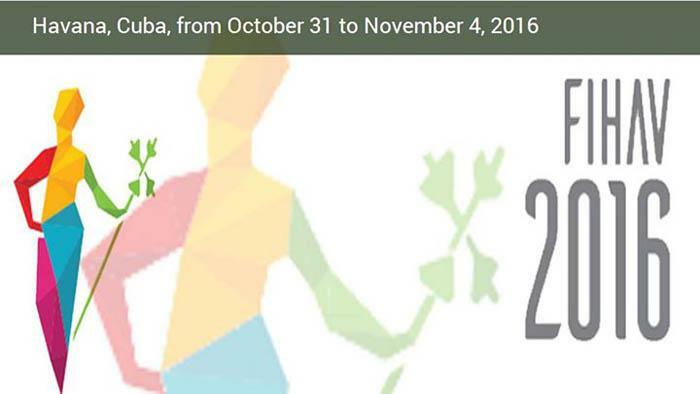 FIHAV 2016, advertised as the best of its kind in the Cuban capital. 75 countries has been confirmed its participation, as well as the representation of 325 national companies. FITCuba 2016. International Seminar on Tourism and Culture. FITCuba, a professional event in the Cuban travel and tourism industry. The ideal place for tourism specialists, executives and enterprises with offices in Cuba to keep in touch. And also an opportunity to become familiar with Cuban destinations and products and learn about the culture and tourism of the Guest Country. 60th meeting of the UNWTO Regional Commission for the Americas and International Seminar on Tourism and Culture will be held at Hotel Habana Libre, in Havana, Cuba, from 3 to 5 May 2016.